I write to you from the General Convention of the Episcopal Church in Austin, Texas. 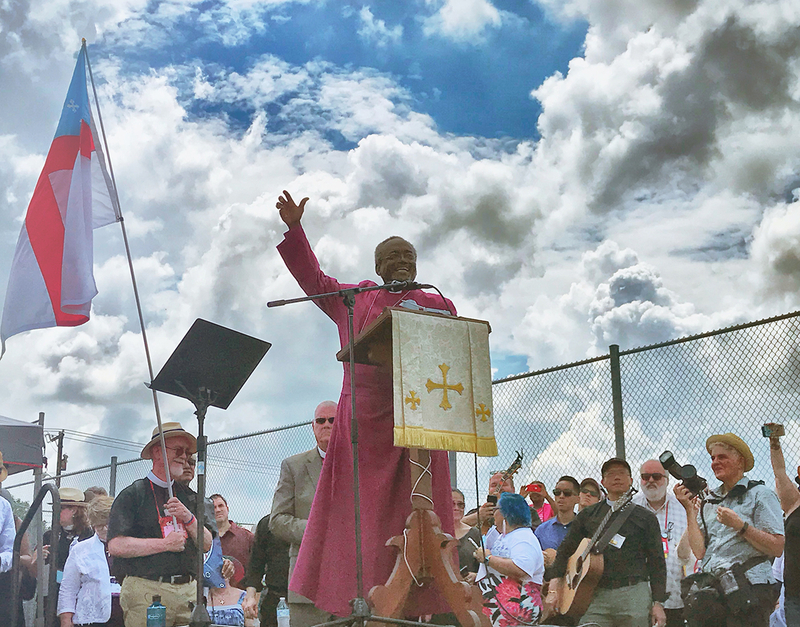 If you’ve been following the news, you know that church leaders – lay leaders, bishops, priests, and deacons – have been making important decisions affecting our common life as Episcopalians. It is always wonderful to see long-time friends and meet new friends. On Sunday, several hundred of us prayed outside a detention center. Our aim was to witness to God’s gracious love, but also to let the women held inside know that they are remembered. In the exhibit hall, at the Forward Movement booth, I’ve had lots of good conversations with people from around the world. I’ve heard inspiring stories of how people are using Forward Movement products, but I’ve also learned about resources people would like to see. My work at Forward Movement is only one hat I’ve been wearing. As an elected deputy to the General Convention, I’ve been working alongside more than 800 other deputies to deliberate on almost 500 resolutions that have been submitted for consideration. Our church is filled with people of good humor. I’ve especially enjoyed the gc79pigeon twitter parody account. It’s always good when we Episcopalians can laugh, especially when we can laugh about ourselves. But there is one thing that stands out for me. Here at General Convention, nearly every person is deeply in love with the Episcopal Church. We have many competing ideas of how we want our church to look and to act. And yet our conversations have been remarkably charitable and generous. Passionate arguments have been made. But there has also been the silence of contemplation and listening. It’s encouraging to see this here, and I hope we might discuss this more both in our society and at home in our local congregations. If you are an Episcopalian, ask your bishop and deputies about their experience here. What inspired them? What surprised them? And if you have been following along from home, what can you learn from this convention? Scholar Derek Olsen explores liturgical spirituality and how the prayer book serves as a repository of Christian wisdom and spiritual practice stretching back to the beginnings of the Christian movement. Focusing on three key elements-the Calendar, the Daily Office, and the Eucharist-he discusses the spiritual principles behind them and provides clear, practical, easy-to-follow explanations of the services. 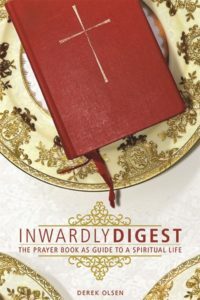 These patterns of life laid out in The Book of Common Prayer serve as a guide to the spiritual life, so that we might connect back to the God who calls each of us by name and that we might love as God loves us.